From contests to big movie news and a live action Destiny trailer, we’ve covered a lot over the past week here at MOARGeek. Here’s our Weekly Rewind of some of the stories we covered. We had a chance to check out and review The Space Monster Anti-Survival Guide by Geek.com’s Russell Holly. Find out what Justin Jelinek had to say about this Kickstarted short sci-fi story! Guardians of the Galaxy proves it was king of the summer as it topped the box office over the Labor Day weekend. Seems people can’t just get enough of everyone’s favorite group of galactic a-holes! 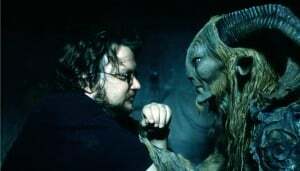 Show Guillermo del Toro what you can do! Guillermo del Toro is teaming up with YouTube to see what YOU can bring to the horror genre. More movie news! Last week we reported on the rumor that Dwayne “The Rock” Johnson had a role in the upcoming Shazam movie. Johnson confirmed this week that he’ll be playing none other than Black Adam. Was it the worst summer for movies at the box office? Check out this opinion piece by J.P. Harvey and let us know if you agree or disagree! Vin Diesel gave us a glimpse of his warrior look for his upcoming movie The Witch Hunter. Hopefully he has a few more lines in this one! Ever play Star Traders? Looks like the long awaited sequel is in the works and the developers have set up shop over on Kickstarter to help fund the game. 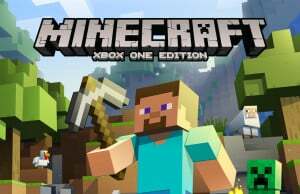 Supersized building fun landed this week as Minecraft finally hit the Xbox One. Oh, and it hit PS4 as well earlier in the week. Square Enix and Tecmo Koei showed off their newly announced Dragon Quest spinoff Dragon Quest Heroes during their pre-TGS PlayStation conference in Japan. Free weekend for XBL Gold members – there’s still time to play Forza Motorsport 5 for free! Xbox One exclusive Ryse: Son of Rome will be coming to Steam in October! Are you planning on picking it up? By all accounts, Destiny is supposed to be the next big huge game – launching Tuesday for Xbox 360, Playstation 3, Xbox One, and Playstation 4. Bungie released a killer live action trailer for it earlier this week. Big push by Xbox lately – this week you can score a free game of your choice when you pick up any Xbox One console or console bundle at participating retailers. Seems like Fox’s new series Gotham is going to be all that it’s cracked up to be – Netflix has already secured the rights to air the show weeks before the pilot even airs. 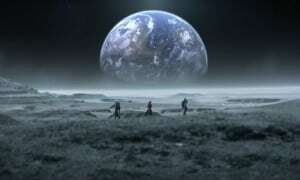 Did you miss episode 2 of the 8th season of Doctor Who? We’ve got you covered as Crystal Black takes an in depth look at the episode titled Into the Dalek. 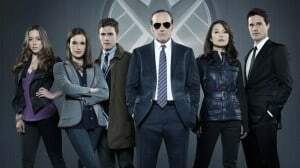 Marvel teased us with a new Agents of S.H.I.E.L.D. trailer! Just to make the wait a bit harder, Marvel is teasing us with a new trailer for Marvel’s Agents of S.H.I.E.L.D. – check it out and let us know what you think! Game of Thrones fans will be Hodor-less in season 5 – Bran will be MIA as well! Foreshadowing? Big deal? Can’t get enough of The Walking Dead? AMC has ordered a pilot for a spin-off series based in TWD universe. 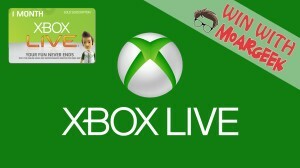 WIN A Free Month of Xbox Live Gold!